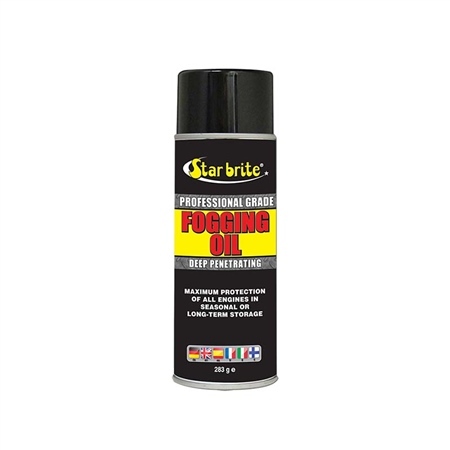 Starbrite's Fogging Oil is a special formula which makes starting engine after storage quick and easy. Protects cylinder walls, piston rings and other combustion chamber surfaces from rust and corrosion during storage. Excellent for inboard and outboard marine engines. This item is classed as a HAZARDOUS PRODUCT and has delivery/courier restrictions. Unfortunately, delivery cannot be made to addresses with the following GB postcode prefixes: BT1-BT99, GY, IM, JE, KA27, PA41-PA78, PO30-PO41, TR21, TR25. Customers from Barra (HS9) wishing to purchase paint should contact us first for a quote on delivery. We cannot deliver hazardous goods outside UK.